VANCOUVER, BC / ACCESSWIRE / March 29, 2019 / Ximen Mining Corp. (TSX.v: XIM) (FRA: 1XMA) (OTCQB:XXMMF) (the "Company" or "Ximen") After Ximen's option partner released its high-grade tellurium results from the Gold Drop Property the Company received numerous enquiries asking for information about Tellurium and its uses. Tellurium is on a list of 35 mineral commodities deemed critical to security and prosperity of the United States. Tellurium is a chemical element with symbol Te and atomic number 52. It is a brittle, rare, silver-white metalloid. It is extremely rare in the Earth's crust, comparable to that of platinum. The U.S. Geological Survey Fact Sheet, Tellurium —The Bright Future of Solar Energy explains that tellurium's primary use is for manufacturing films essential to thin film photovoltaic solar cells. When alloyed with other elements such as cadmium, tellurium forms a compound that exhibits enhanced electrical conductivity. A thin film can efficiently absorb sunlight and convert it into electricity. 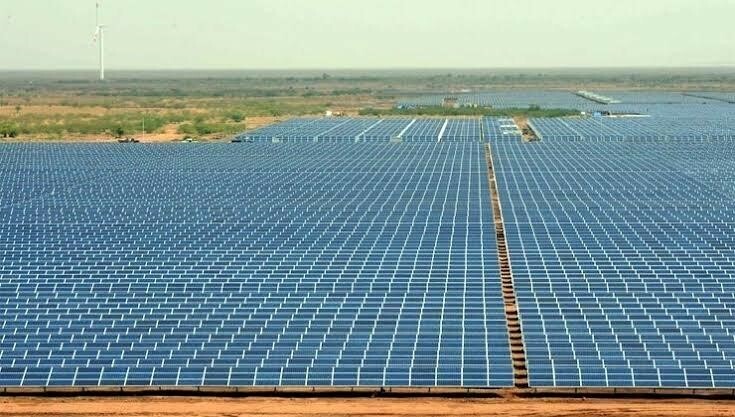 Pictured below is a section of India's giant Pavagada Solar Park. Covering an area of 13,000 acres and achieving an output of 2,700 Mega Watts, Pavagada is currently the world's largest solar park. 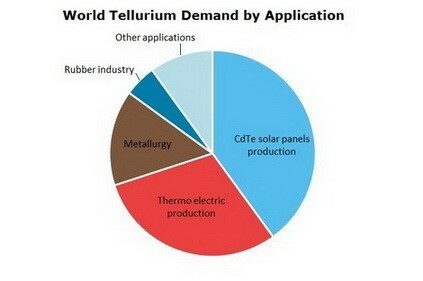 As the use of Tellurium in thin film solar applications grows, governments and industry have expressed concerns about the supply of tellurium to meet future demand. Most of the world's tellurium comes from copper refining. However, the United States Geological Survey (USGS) has noted that, due to declining copper grades worldwide, "New copper recovery processes…are being considered for implementation, but these methods do not recover tellurium. As a result, alternative sources for this critical element must be considered."